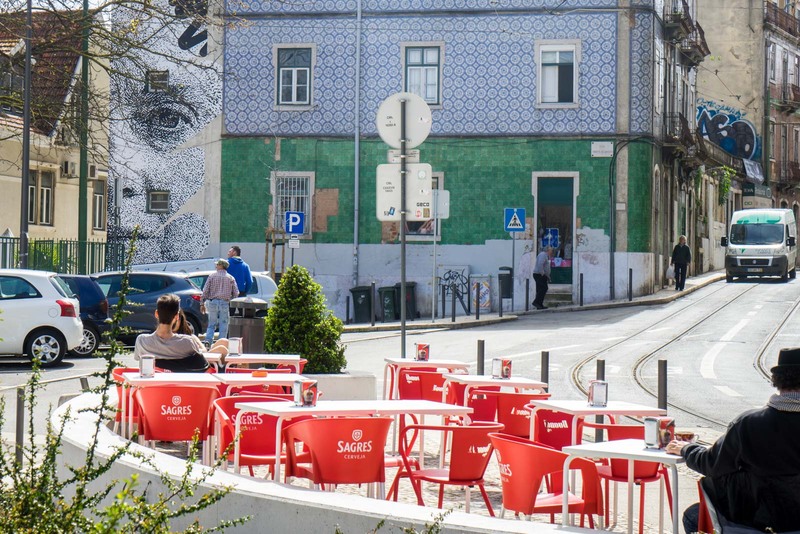 One of the coolest neighbourhoods in Lisbon to explore is Graça. Here are my tips on the best things to do in Graça, Lisbon. 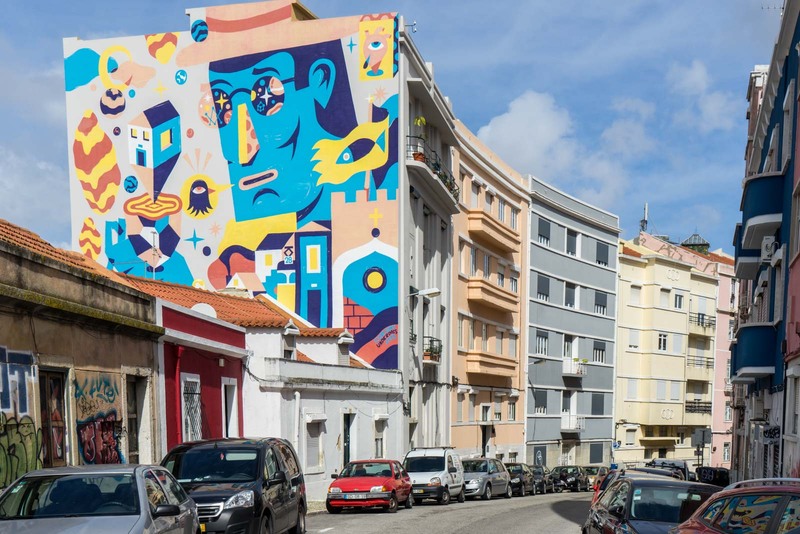 If you’re looking for the best neighbourhoods in Lisbon, consider exploring the authentic area of Graça for local food, cool street art, and the best views of Lisbon. The waiter, standing outside the restaurant having a smoke, waves at me as I walk past. We stop for a chat and he asks me when I’ll be coming back for another meal. Tomorrow sounds good… I’ve not got much planned. This is what it is to learn about a new local neighbourhood. I think you only really know the area when you reach the point that it also knows you in return. When you’re getting to know Lisbon, it helps to think of the city as a collection of neighbourhoods. This isn’t just useful for navigating your way through the streets. 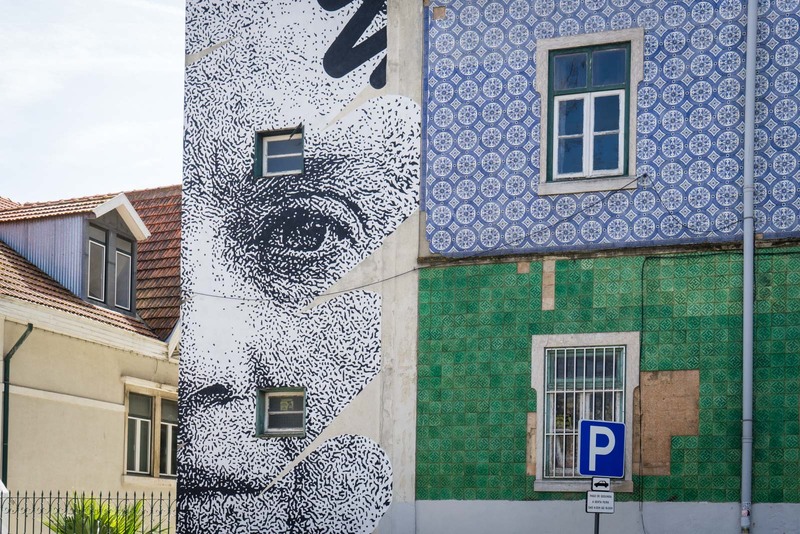 It’s also a good way to explore the culture of Portugal’s capital because each neighbourhood has its own personality. The main tourist areas of Lisbon are easy to identify – Baixa, Bairro Alto, Ciado and Alfama are the main ones. But you don’t need to go far from the centre to find neighbourhoods that are authentic and relatively untouched by the impact of tourism – but still full of things to explore. I think one of the best local neighbourhoods in Lisbon is Graça. It’s the kind of area where the locals sit on the street to drink their coffee, store owners stand in doorways to talk with the passers-by, and you have to constantly dodge dogs and shopping trolleys as you walk along. Yet there’s also a young population that lives here because of lower rent prices and it’s had a bit of an impact in recent years with cool street art and some new restaurants. I have spent quite a lot of time around Graça during my time in Lisbon and have put together a guide to help you explore the best things to see and do in Graça. To get to Graça, there’s no avoiding the uphill. 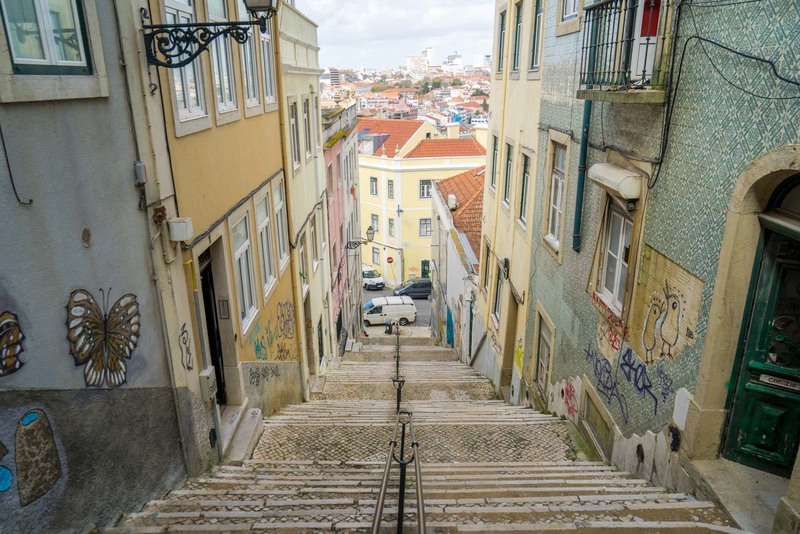 Graça is actually the highest point in Lisbon and no matter which direction you’re coming from, you’re going to have to head up some pretty steep slopes. If you’re coming from the central Baixa area, the walk is only about 20 minutes or so, if you’re not too worried about the hills. 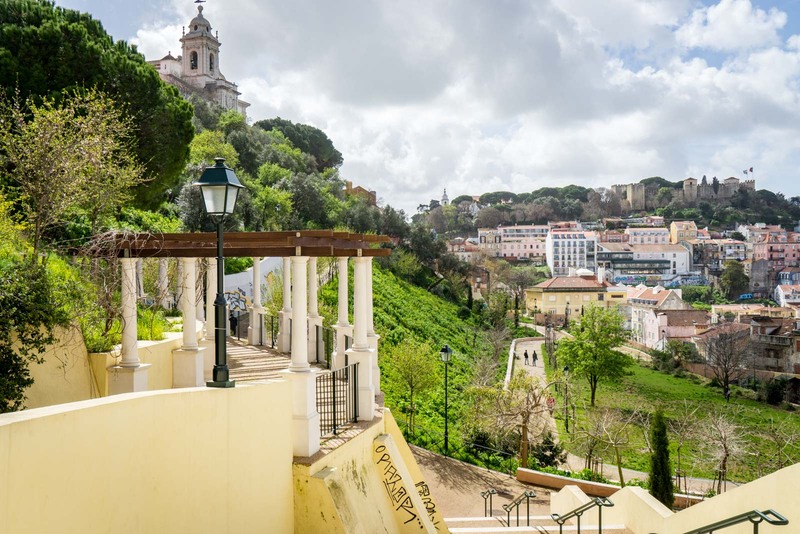 You can either come the direct way up from Martim Moniz Square through Mouraria, or come the slightly longer way to the south of St George’s Castle and past Alfama. You can also catch the Tram 28, which passes right through the centre of Graça. But, as I have written about previously, there is normally such a long queue to get on that it may not be worth it. My recommendation is to walk up the hill because there’s quite a lot of interesting stuff to see along the way. Once you reach Graça, you’ve got some options for how you can spend your time exploring. I’ve marked all the things I’m going to mention on this map, which you can open on your phone to help guide you around. 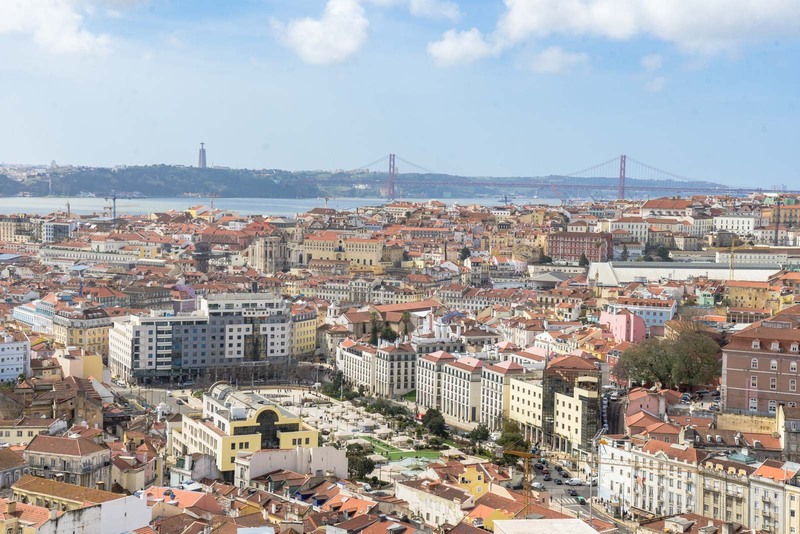 It’s probably no surprise that you’re going to get the best view of Lisbon from the highest point of the city. 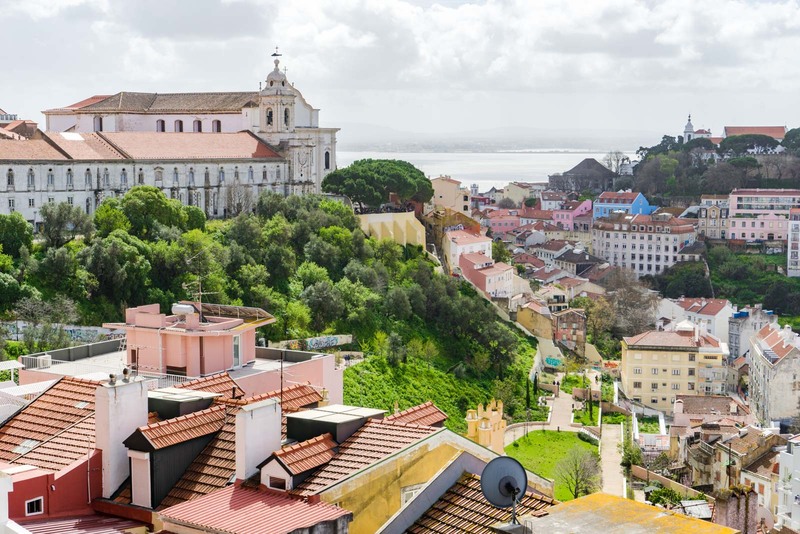 The Miradouro de Nossa Senhora do Monte viewpoint gives you an incredible vista of St George’s Castle, down to Baixa, across to Bairro Alto and back up into the main part of Lisbon. The Miradouro da Graca viewpoint isn’t as high and doesn’t give you as much of a range, but it is a more pleasant location. It’s the first viewpoint that many people reach after coming up the hill and they don’t bother to keep going, so it can be busy. But there’s a nice place to sit for a drink and have a rest. Right next to the Miradouro da Graca viewpoint is the Church of Convent of Graça. The complex is enormous and there’s a good chance you’ve spotted the building from other parts of the city. 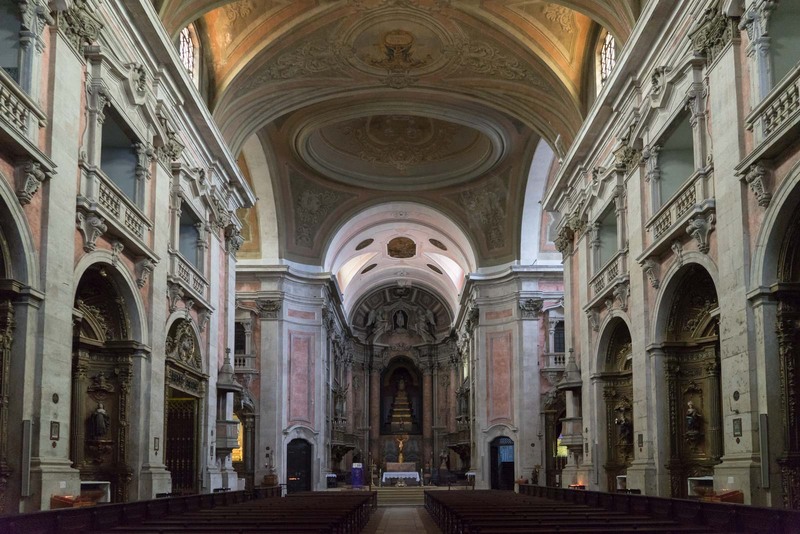 The church is one of Lisbon’s oldest but has been restored over the years. Still, it has wonderful baroque features with detailed chapels of gilded woodwork. The monastery is now used as military barracks but you can see one section with tiled images of Christian martyrs being killed in gory ways. Down the hill from the church is a large garden, Jardim da Cerca da Graça. It has a kiosk, which is a cheap and lovely way to have a coffee or a drink. The park is also very popular with locals around sunset, who bring their own drinks and hang out here. This is a bit of a secret site that not many people know about. This street and the old villa that stretches all along it, was built more than 100 years ago to house workers. It was quite beautifully designed and decorated and you’ll see some wonderful wrought-iron balconies, wall paintings, and tile art. There is street art all over Lisbon but I think there’s something special about some of the works here. 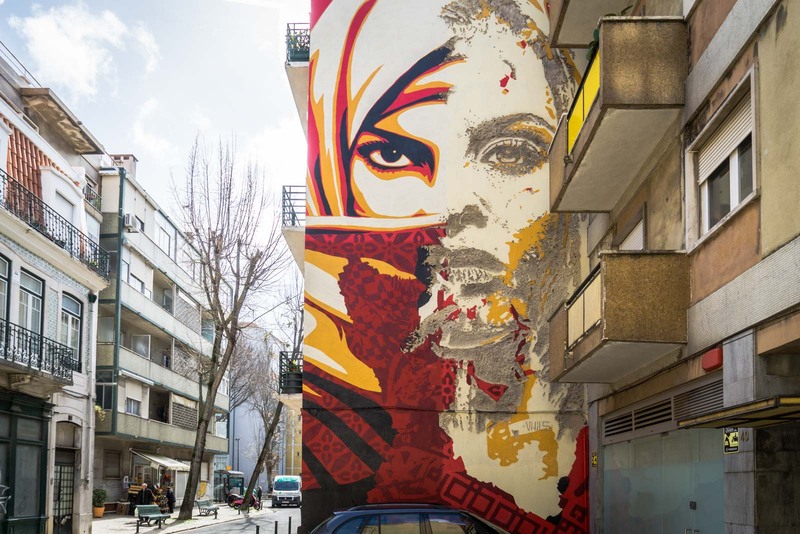 The street art in Graça has some famous pieces, including one of a woman holding a gun done by Shepard Fairey (famous for the Obama ‘Hope’ work). Fairey also worked on another nearby artwork here hd painted half a face and Portuguese artist Vhils carved the other half. 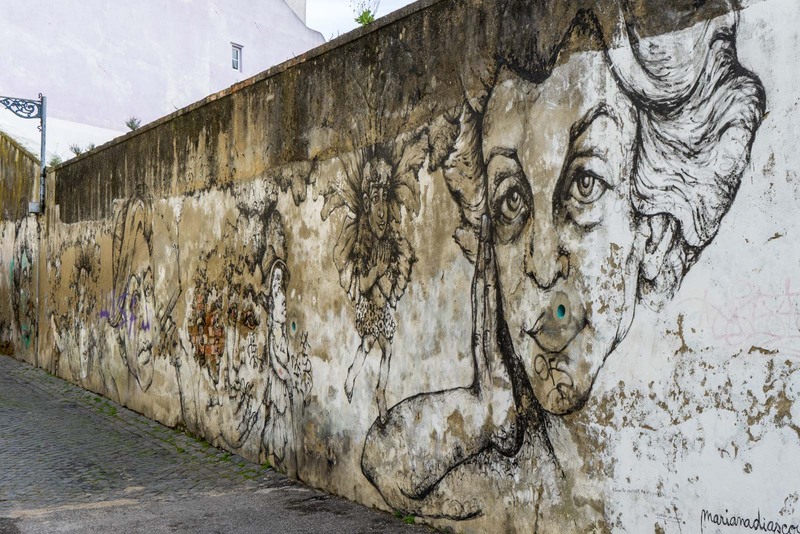 Look out also for two works that were done by a group of artists in 2014 to pay tribute to some of Portugal’s famous literary figures. 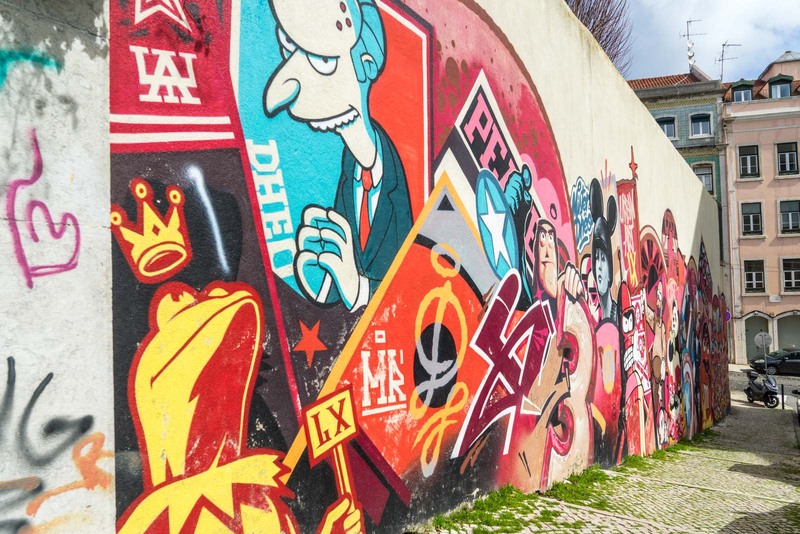 And, if you walk up from Alfama to Graća, you may also come across a red mural about the April 25 Revolution, where the fights are depicted as famous cartoon characters. I’ve marked on the map the location of all of these and some others. You won’t find many of Lisbon’s famous restaurants here in Graça but I can tell you, from eating at many of them, that the neighbourhood has fantastic local cuisine. They all have at least one staff member who speaks English so you won’t have any problems ordering. Here are my tips on where to eat in Graça, with different options depending on what you’re looking for. Only open at lunch, this is the best local experience you will have in Graça. It gets crowded with workers on their lunch break but it’s worth waiting for a table. The set lunch gets you soup, a huge plate of meat with chips and rice, dessert, 0.5l of wine (or other drink), and a coffee… and only costs €7.50. This is another nearby local restaurant that specialises in seafood. It’s open for lunch and dinner and you can get a great value meal with fresh fish or shellfish. It may look a bit more upscale but don’t let that first impression confuse you. This is a good value local family restaurant where the enormous plates of meat are cooked perfectly. One dish will probably be too much for one person, so be prepared to share or take some leftovers with you. If you’re looking for something a bit lighter, then this could be a good option. It’s very close to the main viewpoint in Graça and does healthy meals and good coffee. If there’s any indication that Graça is becoming gentrified, this restaurant is it. The hipster vibe and live music is popular and the food is great. There’s usually only a small selection on the menu because it’s based on the availability of fresh food that day. 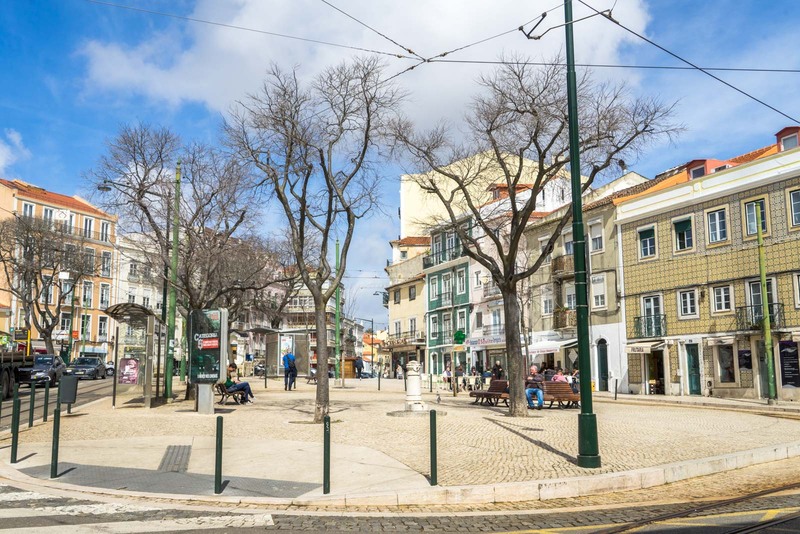 Graça is not an area that tourists usually stay in – but that’s what makes it such an appealing neighbourhood to base yourself in. There aren’t many hotels so you’re better off staying in one of the many apartments that are available for short-term stays. Where should you stay in Graça? For a good backpacker option, I would suggest the Hostel Graca 28 right in the heart of the neighbourhood. There aren't many cheap hotels in Graça but you can often get a good price at Tings Lisbon or Albergaria Senhora do Monte. The best option if you’re staying a few nights is to get one of the many apartments that are now available in this part of Lisbon. A couple of good options are Graca Patio Apartment or Graca Deluxe Apartments. 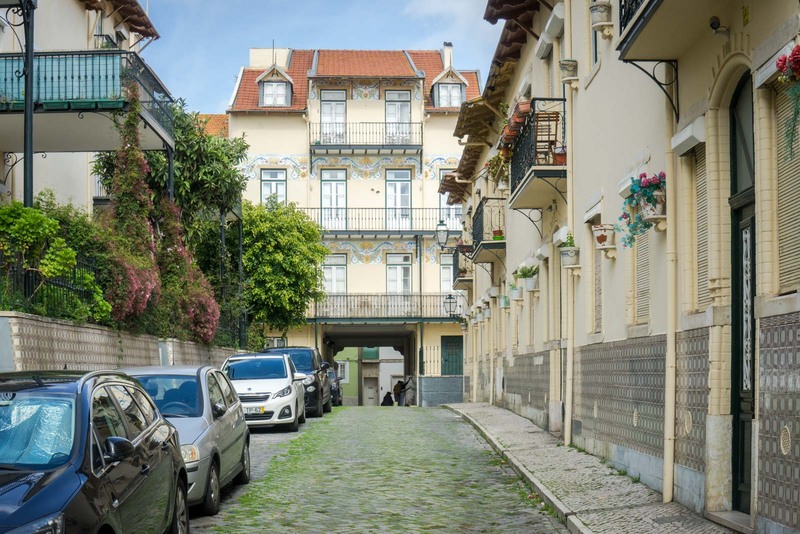 There aren’t many actual hotels in Graça but there is a beautiful one just at the bottom of the hill called 1908 Lisboa that I would recommend. 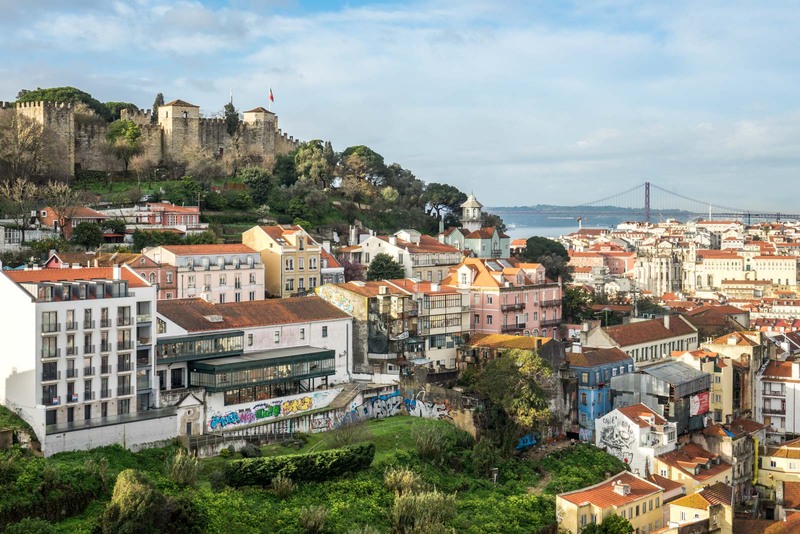 I understand that if you’re only in Lisbon for a short time, you may feel like you have to make the most of your stay and just see the more famous parts of the city. However, it doesn’t take too long to have a look around Graça and I don’t think you’ll be disappointed with this little slice of local life. Lisbon is such a beautiful city! Beautiful pictures! I really need to go there now. Thank you for such a delightful tour guide of Graca. It was a wonderful blog .. Every picture you have posted in your blog that Tells a story. Contrary to the opening to this article, we found Graca to be heavily touristed, filled with tourist shops and restaurants clearly aimed at tourists. It was a bit disappointing despite the nice streets and alleys. It took a while to find a tasca, which unfortunately was out of half the dishes so we found a very nice restaurant that had more local dishes, like alheira de miranda, than most in the area. It doesn’t have nice architecture and is probably a good visit early in the morning before the tourists get out. Hi Spike. Do you remember which restaurant you went to? I would love to be able to share your recommendation with readers. In regards to your comment about the level of tourists, I’m a bit surprised. 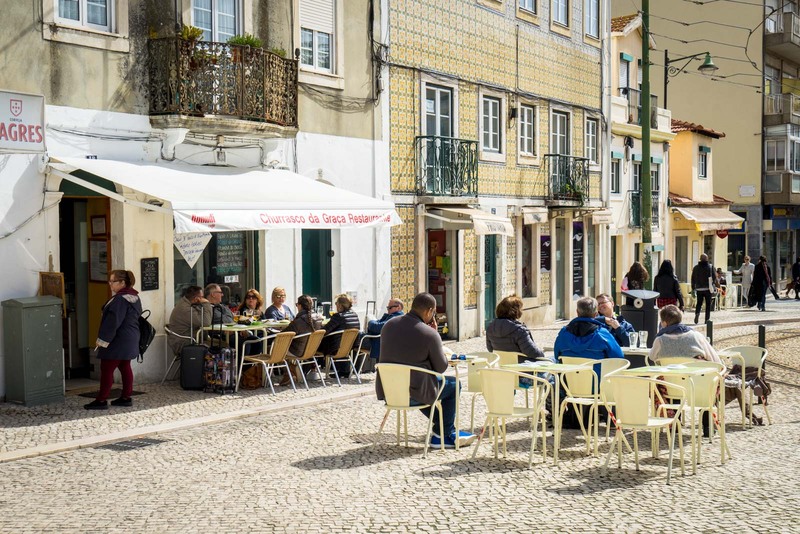 Of course there are tourists in Graça – but nothing like the level in Baixa or Alfama or other nearby areas. I spent a month living in Graça and it was unusual to find a restaurant where more than one waiter spoke decent English. And I didn’t see any tourist shops. Honestly, I wonder whether we’re talking about exactly the same area? Hi Antonia. I found Graca to be a pretty safe part of Lisbon. I had a couple of female foreign friends who lived in the area and they never had any problems on their own… but, of course, no part of the city is perfect. The good news is that taxis/ubers are really cheap in Lisbon so you’ll always be able to just get a ride home if you’re ever feeling worried at night. Have a great trip – you’ll love the city!! Michael, This was a great blog page and just what I was needing. Thank you!! I am taking my wife and 16 year old daughter to Lisbon for a month next summer. We are trying to learn the language and are looking for good immersion trip. I am trying to decide if we want Graca or Alfama? Also a possibility would be Mouraria . Any thoughts? There aren’t many hotels so you’re better off staying in one of the many apartments that are available for short-term stays…. Damas IS the most happening venue in Lx – and has been since they opened… BTW The girls behind Damas reopened Botequim years ago… so they are legends..
What else… Portugals most popular Craft Beer 8a Colina is in Graca – they have the ONLY Beer Quiosque int the country. Most of the above is public stuff. Even my hotel is in the guide books – all though i told them not to.. 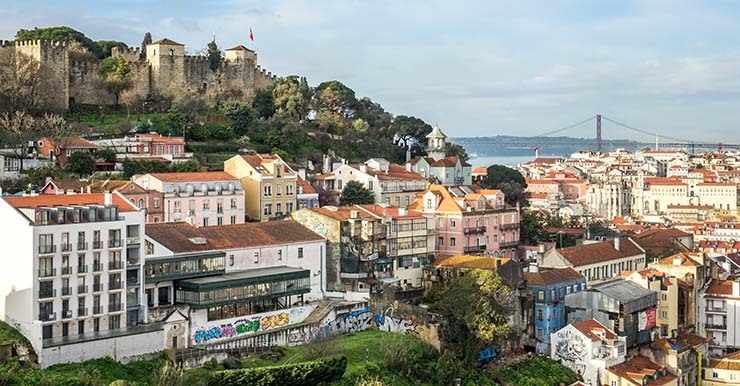 Thank you for this great guide to this amazing Lisbon neighborhood. Your advice, local knowledge and specific recommendations are very helpful as we explore. I’m so glad I found this post. Can’t wait to experience this part of Lisbon!